In the state of Oregon, the restaurant industry is a $7.4 billion business. There are over 9,600 dining establishments in the state that account for 12% of the state’s overall employment rate. By 2026, it is expected that the need for restaurant and food service jobs will increase by 13.2%, resulting in 25,000 additional jobs. Now is the time to earn your culinary degree and get experience! We created a list of the best culinary schools in Oregon. 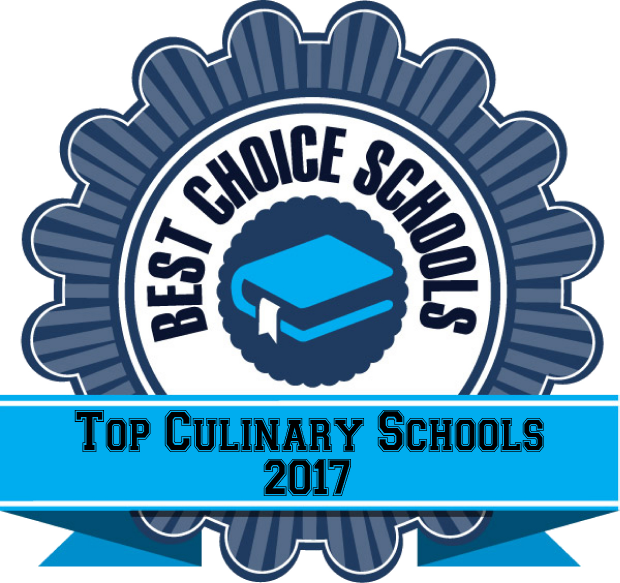 Schools in our list include those accredited by the American Culinary Federation and those with a solid reputation in the industry based on our internet research. It was important to us that schools feature a hands-on kitchen lab setting, have experienced staff, and offer an externship experience which allows students to gain professional work experience in the field before graduation. Our list is below. Linn-Benton Community College is a top culinary school offering a two year AAS in Culinary Arts. Students learn culinary skills related to pantry, bakery, grill, a la carte, food productions, soups, and meat preparation. Students learn to cook a diverse assortment of cuisine including Asian, vegetarian, and other ethnic foods which are in demand by today’s diner. The Santiam Restaurant gives first year students the opportunity to train as wait staff and second year students train in the kitchen. In the morning, pastries and coffee drinks are served, followed by lunch at 11a.m. The Commons Cafeteria is another on-campus dining establishment that serves food prepared by culinary students. Linn-Benton also offers catering and conference services which allow students to gain experience in that area. Central Oregon Community College Cascade Culinary Institute features associate degree programs accredited by the American Culinary Federation. CCI has multiple cooking labs and a demo theater so students can see professionals in action. CCI operates a student-run restaurant called Elevation which serves the general public (reservations encouraged), allowing students real-world experience before starting out on their own. CCI has a student/faculty ratio of about 18:1 and offers “open labs” which enable students to practice their skills under supervision outside of their normal class schedule. Students learn critical thinking skills, community skills, and leadership skills which will allow them to be successful as they move up the professional ladder. Lane Community College features a competitive AAS program in the Culinary Arts that’s received exemplary certification by the American Culinary Federation. Students have the opportunity to work in the banquet and conference center on campus to gain experience. This challenging program teaches skills in menu planning, food preparation, baking, and sanitation and safety. Students learn not only where their food comes from, but nutritional value behind the foods we eat. Lane has state-of-the-art kitchen laboratories and top notch faculty and staff who provide students with a positive learning environment. Graduates are prepared to work as a chef, head cook, restaurant cook, or production baker. The Oregon Culinary Institute offers an AAS degree in Culinary Management and a Culinary Arts Diploma program. OCI teaches students principles of farm-to-table harvest and preparation including organic and local foods. Students learn-in-a-state of the art kitchen facility from experienced professional faculty. OCI has its own fine dining establishment where students can demonstrate their skills and techniques while gaining hands-on experience. Students in the AAS program complete a culinary externship opportunity in their final semester. The Diploma program can be completed either during the week or on the weekends in a short amount of time to allow students to join the workforce as soon as possible. Southwestern Oregon Community College is one of the best culinary programs in the state and on the West Coast. Students have access to a 17,000 square foot state-of-the-art culinary facility with three kitchen labs, classrooms, and a banquet hall. Students in the associate degree program receive a year of professional education followed by a three-month externship opportunity to get out into the field and use their culinary training. Students have the opportunity to live on campus for a more traditional college experience and can participate in college sports and activities. Graduates of the program are able to work in a variety of positions including Sous Chef, Garde Manager, Kitchen Supervisor, and Restaurant Manager.